"Their language doesn't translate in a literal manner, and each word has multiple meanings." Sangheili describes multiple dialects of a language spoken by the species of the same name. Though the member species of the Covenant had their own unique languages, an advanced dialect of Sangheili, known as basic Sangheili, came to serve as the lingua franca throughout the entire Covenant Empire. and as such, many names of member species are derived from the Sangheili. Even after the fragmentation of the Covenant, many former client species of the Covenant continue to use the Sangheili language in lieu of their native tongues; Sangheili has even replaced their native language for many. A specific trade pidgin also existed within the Covenant fringe. Text, or writing, in Sangheili appears to be mostly triangle shapes and composed almost completely of equilateral triangles. The triangular characters have been seen oriented both in the horizontal left-to-right direction and in a vertical right-to-left direction. Furthermore the Covenant doesn't use Morse code. Though originating with the Sangheili, an advanced dialect of their language has come to be the Covenant lingua franca, used to connect the different races and species. Curiously, in several instances of Forerunner-related terminology, the Sangheili appear to use the English translations of the original Forerunner terms, as for "Forerunner", "Requiem", "Reclaimer", "Didact", and "Librarian". [note 1] During the San'Shyuum-Sangheili War, the San'Shyuum obtained a comprehensive understanding of the Sangheili language by brutally torturing and interrogating prisoners of war. After establishing peace with the Sangheili, the San'Shyuum of the fledgling Covenant relied on translation software built into their anti-gravity chairs to understand the language. The Ussans developed in isolation from other Sangheili, and their language evolved into a different form of the Sangheili dialect. It possessed similarities to Old Sangheili, but the language developed into a new dialect that could not be readily understood by the "average" Sangheili. Sangheili words generally consists of simply structured syllables. Most syllables consist of a single consonant (e.g. /s/) or a consonant complex (e.g. /t͡s/) followed by a long vowel or a diphthong or in rarer cases a short vowel or a short vowel followed by "n". Other types of syllables include a moraic "nn", a short vowel, a single diphthong, a triphthong, or a long vowel. Finally, some syllables in the middle or, more commonly, at the end of their word might have their vowel component devoiced. Sangheili generally seems to possess word stress, though the possibility of dialects featuring pitch accent shouldn't necessarily be excluded. Sangheili words usually possess only a primary stress with longer words sometimes possessing a secondary stress in the first syllable. The primary stress usually falls on the penult (second from last syllable). However, in many words the stress might fall on the ultima (last syllable) or antepenult (third from last syllable). Sangheili language includes 8 main vowels (/ä/, /ɑ/, /i/, /ɪ/, /e̞/, /ɔ/, /o/ and /u/) and 18 main consonants (/s/, /z/, /ʂ/, /ʐ/, /q/, /ɢ/, /ʈ/, /ɖ/, /f/, /b̪/, /ħ/, /j/, /ɰβ/, /ɱ/, /ɳ/, /ɴ/, /ɻ/ and /ʔ/). Three more consonants also appear in words borrowed from other Sangheili dialects or alien languages. These are /p̪/, /ɺɽ~ɭ/ and /ʋ/. In certain instances, the sounds /o̞/, /ɕ/, /ʑ/, /w/ and /ɽ/ can appear as allophones of /ɔ/, /ʂ/, /ʐ/, /ɰβ/ and /ɻ/ respectively. Furthermore, /ɯβ/ and /ʊ/ are allophones of /u/ while /ə/ can serve as allophone of /ä/ and /e̞/ when those two sounds are weakened. Consonants /ɳ/, /ɱ/ and /ɴ/ can in some cases be moraic, in which case they are geminated and pronounced as /ɳ:/, /ɱ:/ and /ɴ:/. In addition some consonant complexes can be formed. These are /ʈ͡ʂ/, /ʈ͡ɕ/, /ɖ͡ʐ/, /ɖ͡ʑ/, /t͡s/, /ʈɰβ/, /ɖɰβ/, /ɳɰβ/ and /ɳɱ/. /ɳɱ/, /ɳ:/ and /ɱ:/ appear only when /ɳ:/ precedes a labiodental /b̪/ or /ɱ/ resulting in /ɳ:/ being pronounced as either /ɳɱ/, /ɳ:/ or /ɱ:/ for phonological reasons. When followed by /i/, consonants /ʂ/, /ʐ/, /ʈ͡ʂ/ and /ɖ͡ʐ/ can be pronounced as /ɕi/, /ʑi/ /qji/, /ɢji/, /ħji/, /ʈ͡ɕi/ and /ɖ͡ʑi/ respectively. When followed by /i/, consonants /q/, /ɢ/ and /ħ/ can be pronounced as /qji/, /ɢji/ and /ħji/ respectively. When followed by /e̞/, consonants /q/, /ɢ/ and /ħ/ can be pronounced as /qje̞/, /ɢje̞/ and /ħje̞/ respectively. /ɴ/ and /ɴ:/ appear before or after the uvular consonants /q/ and /ɢ/ in place of /ɳ/ and /ɳ:/. /ɺɽ~ɭ/ can sometimes be heard as either ɺɽ or ɭ but is generally an intermediate sound. The sound /ɺɽ~ɭ/ itself has no human equivalent. /ɻ/ and /ɽ/ allophones of the same consonant. In reality they are only approximates of the Sangheili r sounds which has no human equivalent. Most users prefer to use /ɻ/. /ä/ is near front and closer to the Japanese /ä/ but some speakers pronounce it as a central vowel like the Italian /ä/. Some speakers use /ä/ insead of /ɑ/. /e̞/ and /i/ are near front vowels and not front vowels. /ɔ/ and /o̞/ are allophones of the same vowel. As such their use depends on the speaker’s preference. /ʊ/ can be used instead of /u/ when /u/ is short only. /ɯβ/ can be used instead of /u/ regardless of whether /u/ is short or long. The sound itself is compressed and neither rounded nor fully unrounded. It is pronounced like the Japanese u. /ɰβ/ is a compressed labiovelar approximant. It can also be symbolized as /wβ/. It is pronounced like the Japanese w.
Sometimes /ɖ͡ʐ/ can be pronounced as /ʐ/ or /ɖ͡ʐ~ʐ/. /ɔɪ/ also pronounced as /o̞ɪ/ and sometimes pronounced as /ɔj/ or /o̞j/ before vowels. In order to phonetically transcribe Sangheili, 343 industries uses the following transliteration system. a e correspond to /ä/ and /e̞/ respectively. Both can correspond to /ə/ if the syllable is weakened. ah corresponds to /ɑ:/. Some speakers pronounce it as /ä:/ though. o corresponds to /ɔ/ and /o̞/ depending on the speaker's preference. oh corresponds to /ɔ:/ and /o̞:/ depending on the speaker's preference. u corresponds to /u/. Some speakers might also pronounce it as /ɯβ/ or /ʊ/. uh corresponds to /u:/. Some speakers might pronounce it as /ɯβ:/. aa corresponds to /ɑ:/. Some speakers pronounce it as /ä:/ though. uu corresponds to /u:/. Some speakers might also pronounce it as /ɯβ:/. oo corresponds to /u:/. Some speakers also pronounce it as /ɯβ:/ or /o:/. y corresponds to /j/ when it is between two vowels, or at the beginning of a word. When it is at the end of a word or before a consonant or after any consonant except nn it corresponds to /ɪ/. k corresponds to /q/ or /k~q/, but is pronounced as /qj/ when followed by /i/ or /e̞/. g corresponds to /ɢ/or /g~ɢ/, but is pronounced as /ɢj/ or /g~ɢj/ when followed by /i/ or /e̞/. gh corresponds to /ɢ/ or /ɢh/ depending on the speaker's preference. When followed by e (thus forming ghee) the resulting sounds will be /ɢje̞:/ and /ɢhe̞:/. When followed by ei (thus forming ghei) the resulting sounds will be /ɢje̞ɪ/, /ɢhe̞ɪ/, /ɢji:/ and /ɢhe:/. r corresponds to /ɻ/ and /ɽ/ depending on the speaker's preference. w corresponds to /ɰβ/. Sometimes some speakers can pronounce it as /w/. ch corresponds to /ʈ͡ʂ/, but can be pronounced as /ʈ͡ɕ/ when found before /i/. sh corresponds to /ʂ/, but can be pronounced as /ɕ/ when found before /i/. j corresponds to /ɖ͡ʐ/, but can be pronounced as /ɖ͡ʑ/ when found before /i/. The sounds /ɖ͡ʐ/ and /ɖ͡ʑ/ can be pronounced as /ʐ/or /ɖ͡ʐ~ʐ/ and /ʑ/ or /ɖ͡ʑ~ʑ/, respectively. n corresponds to /ɳ/. When n is followed or preceded by the uvular consonants /q/ and /ɢ/ it corresponds to /ɴ/ and when followed by any labiodental consonant ( /ɱ/, /b̪/, /p̪/, /f/, /ʋ/) it corresponds to /ɳɱ/ or /ɳ~ɱ/. nn corresponds to /ɳ:/. When n is followed by the uvular consonants /q/ and /ɢ/ it corresponds to /ɴ:/ or /ɳɴ/ or /ɳ:/ and when followed by any labiodental consonant ( /ɱ/, /b̪/, /p̪/, /f/, /ʋ/) it corresponds to /ɱ:/ or /ɳɱ/ or /ɳ:/. h corresponds to /ħ/, but is pronounced as /ħj/ when followed by /i/. tw_, dw_, nw_ correspond to /ʈɰβ/, /ɖɰβ/ and /ɳɰβ/, respectively. The symbol [_] represents any vowel. ae corresponds to /äə/ or /äe̞/ or /e̞:/. In the latter two cases it is not a diphthong. ai corresponds to /äɪ/ or /e̞ɪ/ but is usually pronounced /äɪ/. au corresponds to /äu/, /äɯβ/ or /äʊ/ depending on the speaker's preference. ay corresponds to /e̞ɪ/. When followed by a vowel it corresponds to /e̞j/. It may rarely be pronounced as /äj/ and not be a diphthong when y is part of a different syllable but that is unknown. ei corresponds to /e̞ɪ/ or /i:/ (rarely) depending on the speaker's preference. ey corresponds to /e̞ɪ/. When followed by a vowel it corresponds to /e̞j/. ou corresponds to /ou/, /oɯβ/, /oʊ/, /o̞u/, /o̞ɯβ/ or /o̞ʊ/ depending on the speaker's preference. oy corresponds to /ɔɪ/ or /o̞ɪ/ depending on the speaker's preference. When followed by a vowel it corresponds to /ɔj/ and /o̞j/ respectively. eay corresponds to /ɪe̞ɪ/. In this case the diphthong is /e̞ɪ/ and /ɪ/ is syllabic. l corresponds to /ɺɽ~ɭ/. It can sometimes be pronounced as ɭ or ɺɽ ɺɽ by the same speaker due to phonological reasons. Most of the times though l is pronounced identically to r.
Note: All words in the following list should not be pronounced as if they were English. Please refer to the phonetic transcription system above. Ancient words, names and words of extinct or other Sangheili languages. Modern words with known or assumed meanings based on context. Dieduckt gahkaboonoh Liebuh-Rahrian musuyano. Kaboonzaywah wohchitah kneekohsoh woorumahtwo. Nntahbonwon sayoh. Gah-eymayoh Reecleymah toymeh-ushou zosuerohkoh! Nnkahchee kahnohmoh keenoh ruh-ehnahsheewah cheeruh-eh tayruh-ah. Wahshahteh rohneeahkeh nohkoh wahnahkohroh neeoh-yohnoh sahgahkay. Tahgee wahkeetoh ruhnehdah-ee nnkah-ee tahgee tahruh-yah. Promethean wahzeguhkah kahjee mah. Neeshoh eesah Aabeetah tay shee shoh hyuhmahnn. 'Mdama wooeeee kehnndoh. Nnrah kahwah ahkeeteh yoh-uh yoh-uh. Promethean ee-hahshee-hoo 'Mdama eerayrah cheennshee. Wahrahtsuah uhtohkah nohkoh eekahtahtah rohkehmah. Ruhnahshuh ee-hah sheewoo Sangheili ruh-ahnee. Prophet ruh-ah-ee. Gay uhsoh. 'Mdama zurahnahkahgah zohkuh-oh beechee. There are four known written types of the Sangheili language. This triangle variant of the written language has a few key features. They are a big triangle surrounded by numerous smaller triangles. These smaller triangles are known to be closer to the corners of the bigger triangle, and can either be floating above the corner, or very close to it. The direction of the bigger triangle is not set, leading to there being numerous possibilities to what one symbol could mean. The bigger triangle is also known to have semi-circles cut out of the middle of its sides, sometimes filled with circles. Sometimes the triangles points are not there and are replaced by a circle. Sometimes rectangles are involved in the symbols. There is also thinner and longer triangle symbols in this type of symbols. These can have a smaller triangle at its smaller side or not. There are a few different translations for these types of symbols. They are seen often in transmissions and on control panels. These have been in use as early as February 4th 2531 in transmissions during the Harvest Campaign. Covenant alphabet used in several systems and consoles. A Covenant system over Harvest that uses this alphabet. A control panel with the symbols on it. The words "Activated Shield" appear on this. A Halo 2 wallpaper with Covenant symbols. Translations of the two Halo 2 wallpapers. Symbols for the Covenant vehicles in Halo 2's Prima Guide. The Halo 3 campaign Sangheili combat harness triangle symbols. Sangheili combat harness HUD magnification system with these symbols on it in Halo 3. Glyph patterns that change one by one on Assembly in Halo 3. All symbols that appear in Halo: Uprising. The Covenant speech in Halo: Uprising. Most of the known countdown of an antimatter charge in The Package. From left to right: Assumed Covenant numbers 0,1,3, 4, and 5. Symbol used on the Halo Reach project page. The symbol of the Covenant. Symbols that appear on the armor of Sangheili in Halo Reach's campaign. The Halo Reach Sangheili combat harness compass. Big triangle with the point up is North, big triangle with the point down is South. The Halo Reach Sangheili combat harness zoom. Symbol at the back of Jackals in Halo Reach. Symbol that appears on the shoulder armor of Skirmishers in Halo: Reach. Symbols on weapons in Halo: Reach. Symbols on vehicles in Halo: Reach. Triangle type around a Forerunner type symbol in Halo: Reach. Triangle type seen on a Covenant communication node in Halo: Reach. Triangle type symbols found on the needle rifle zoom. Triangle type symbols seen on a Covenant barricade in Halo: Reach. Triangle type symbols seen on a Covenant supply case in Halo: Reach. One of Doctor Halsey's attempt to understand the Covenant language, documented in her journal. Jul 'Mdama contacting Doctor Halsey in Spartan Ops. Casket for a dead Arbiter in Halo 2: Anniversary's Terminals. Type-26 Shade symbols in Halo 5: Guardians. These triangle symbols are similar to the base triangle type. They are big triangles with a spike coming out near the corners. Smaller triangles, unlike the triangle type symbols, are closer to the middle of the sides, touching the spike coming out near the corner. There is sometimes a smaller triangle taken out the sides of the bigger triangles, and sometimes triangle taken out the middle of them also. These are often seen in transmissions and also on control panels. These have been in use as early as April 26, 2526 in transmissions during the Battle of Circinius IV. Numbers 00 to 18 that appear on the Type-51 carbine in Halo 4. Known alphabet of this type. Bumped triangle type used prior to the battle of Circinius IV in Halo 4: Forward Unto Dawn. From right to left written vertically: 7 Reclamation. Bumped triangle type used prior to the battle of Circinius IV in Halo 4: Forward Unto Dawn. Another view of the code prior to the battle of Circinius IV in Halo 4: Forward Unto Dawn. Mark VI soft patch for Covenant armor abilities in Halo 4. From left to right it writes: 1, 2, 3, Covenant armor Camouflage, 117. A control panel with the symbols on it in Halo 4. Bumped triangles in numerous Halo 4 and Halo 2: Anniversary marketing. Bumped triangles in Halo: Escalation. The door panel reads: Opens. Sangheili data pad in Halo 5: Guardians. Sangheili symbols round on the Milky Way galaxy on the map Truth in Halo 5: Guardians. Control panels with the symbols on them on the map Truth in Halo 5: Guardians. Closer look on a couple of the symbols on a control panel. Covenant symbol for the Commendations in Halo 5: Guardians. In normal symbols for weapon status in Halo 4 and Halo 5: Guardians. 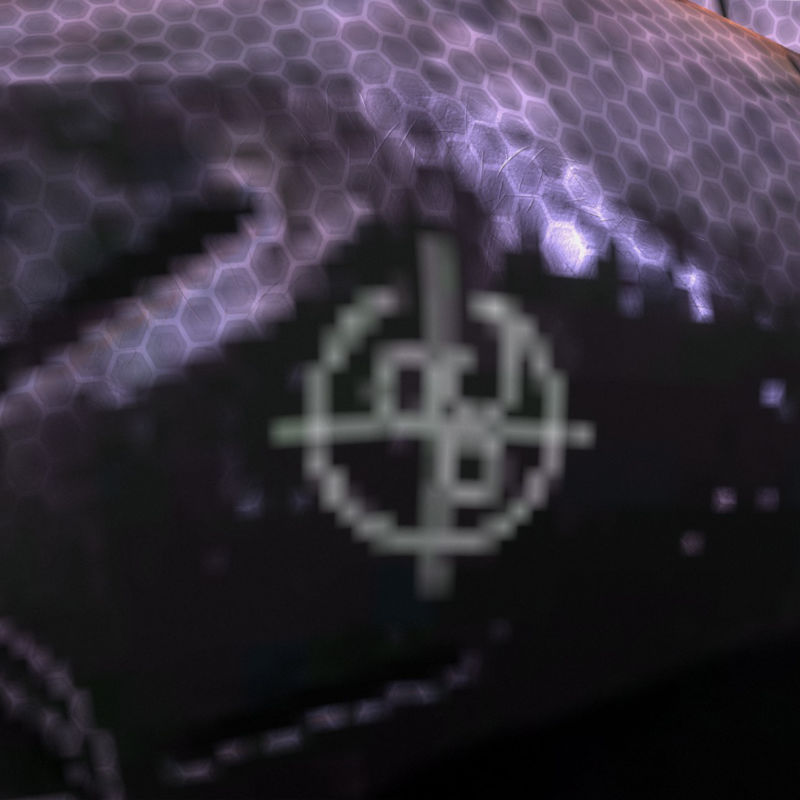 Type-55 storm rifle temperature symbol in Halo 4. Type-27 beam rifle zoom symbols in Halo 4. Type-51 carbine zoom symbols in Halo 4. Type-33 fuel rod gun zoom on off target and on target symbols in Halo 4. Ghost patterns related to this type of symbols in Halo 4. Type-56 Lich control panel with these symbols on it in Halo 4. Covenant symbols on a plasma grenade. Fuel rod gun zoom symbols in Halo 5: Guardians. Logogram that indicates that a target is inside the weapon's reticule. From left to right temperature and energy/battery level/battery sigils. The temperature one can also be found upside down when zoomed. Covenant symbols on a storm rifle, notice the temperature symbol glowing red. Covenant symbol found on weapon variants in Halo 5. These are all the symbols and patterns related to them. Sangheili Storm symbols and patterns in Halo 4. Sangheili Zealot symbols and patterns in Halo 4. Sangheili Warrior symbols and patterns in Halo 4. Sangheili Commander symbols and patterns in Halo 4. Sangheili Ranger symbols and patterns in Halo 4. Kig-Yar Storm symbols and patterns in Halo 4. Kig-Yar Heavy symbols and patterns in Halo 4. Unggoy Storm symbols and patterns in Halo 4. Unggoy Heavy symbols and patterns in Halo 4. Unggoy Ranger symbols and patterns in Halo 4. Unggoy armor symbol in Halo 5: Guardians. These symbols are often borrowed or adapted from actual Forerunner symbols for use in speech, on Sangheili armor, and even on Covenant technology. Forerunner small line type symbols as seen on a Halo 2 marketing poster. Symbols imprinted on the combat harness of a Sangheili Minor. Green plasma grenade symbol in Halo: Reach. A symbol that appears in the inner workings of the Kig-Yar point defense gauntlet that closely resembles that of the Iris artifact glyphs. An ancient version of the Sangheili script appears in Sangheili ruins and ceremonial curveblades. Symbols similar to the modern triangular symbols appear. They can also be seen on modern Swords of Sanghelios flags. Ancient Sangheili on the Halo 5: Guardians animated poster. Ancient Sangheili on Vadam flags in the Halo 2: Anniversary Terminals. Ancient Sangheili on a curveblade. Ancient Sangheili on Sangheili ruins. These appear on barriers throughout Sunaion. Usually next to ancient Sangheili triangle types on ancient Sangheili scriptures. Numerous circles found on several scriptures. This type is numerous symbols and images. A mural found in Sangheili ruins. A mural found in Sangheili burial ruins. Murals on a console that can be used. Symbols and murals throughout Sunaion and Sangheili ruins. A big mural on Sunaion. A mural that has a version of the Guardian symbol on it. Before the release of Halo 2, the official website at Halo2.com was made to look like a Covenant computer complete with the Sangheili language. This language was a simple cipher with the triangular characters. In addition to Halo2.com, a released wallpaper contained triangular characters that made use of this cipher. After the Halo2.com site, the cipher changed. Two wallpapers were released with an entirely new cipher still using the triangular characters. Neither this cipher or the previous one have been used subsequently, though the triangular characters are still commonly used. The Covenant speech in Halo: Reach is actually able to be translated. The languages in their original form are heard in Halo: Combat Evolved. In Halo 2, their words are translated for the convenience of the player. Elites in Halo: CE spoke a deep, warbling tongue. This was achieved by reversing the voice acting of David Scully. The ever popular "Wort, wort, wort!" shouted by many Elites during gameplay is actually "Go, go, go!" reversed and sped up. The hissing-like language of the Jackals is actually the English language reversed. This, and the other Covenant languages (Drones, Hunters), have remained the same since Halo 2. In Halo 5: Guardians, Sangheili hieroglyphics were inspired by Islamic, Mongolian, and Indian art, as well as Egyptian and Mayan hieroglyphics. Sangheili vowels as pronounced in the games and live action films by Sangheili. Concept art of control panels with Sangheili symbols on it. Emblem of a Covenant symbol in Halo 4. ↑ It should be noted that in Spartan Ops subtitles, these terms are phonetically transliterated from Sangheili speech (e.g. "Dieduckt", "Liebuh-Rahrian", "Reecleymah") rather than using their proper spellings. ↑ 2.00 2.01 2.02 2.03 2.04 2.05 2.06 2.07 2.08 2.09 2.10 2.11 2.12 2.13 2.14 2.15 2.16 2.17 2.18 2.19 2.20 2.21 2.22 2.23 2.24 2.25 2.26 2.27 2.28 This is a phonetic spelling. The proper rendering has not been confirmed in canon.